RokuGuide's suggestions and recommendations for the best content on your Roku player. Are you overwhelmed by the sheer volume of entertainment available on Roku? Or do you think you have to shell out big bucks for subscription services to get good content? RokuGuide.com is here to help. 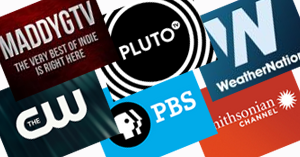 Here are several suggestions for top-quality streaming content on Roku - and it's all FREE! What's on Roku features our independent recommendations for new and unique entertainment on Roku channels. Today's recommendations include Seinfeld costars reminiscing about their sitcom days, a "highly suspenseful" crime drama, a documentary on those who exposed an illegal FBI surveillance program in 1971, and tips on throwing a memorable summer party. If you're going to spend some time watching movies on your Roku over this Memorial Day weekend, why not spending it watching a few films and documentaries about our veterans and the battles they fought in? 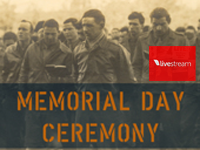 This Memorial Day, The National WWII Museum in New Orleans will commemorate the men and women who made the ultimate sacrifice in the fight to preserve our freedom. Saturday Night Live recently celebrated its 40th anniversary. In tribute, Crackle has created a Class of SNL Watchlist, featuring movies from many favorite SNL alumni.